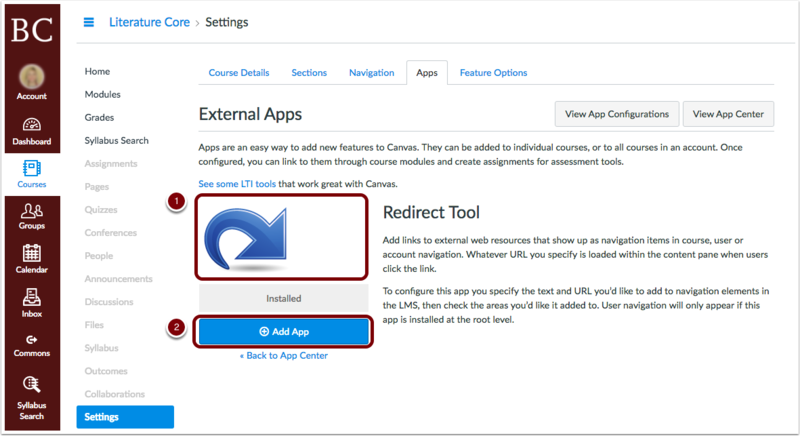 Zoom may be added to your Canvas site as an “external app.” In this tutorial, you’ll learn how to use the Canvas “Redirect Tool” to add the Zoom app as a web link in your course navigation menu. To add Zoom as an external app in Canvas, you’ll first need to retrieve your personal meeting ID. Log into your zoom.us account. Then, click on “Profile” from the menu on the left side of the page . Your personal meeting ID is listed under your name and account information . Copy this URL so you can paste this information in later steps. 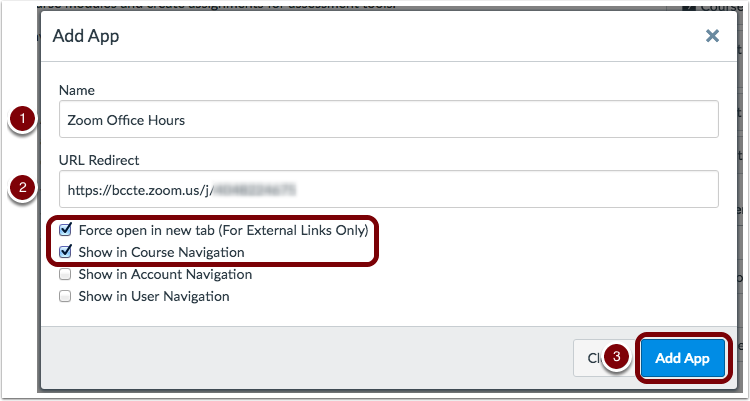 In your Canvas course, select “Settings” from the course navigation menu. Click on the “apps” tab at the top of the page , and then search for the “Redirect Tool” using the search bar . Click on the “Redirect Tool” icon  (new options will appear). Then click the blue “add app” button . The app dialogue box will open. Under “name,” enter the text as you’d like it to appear in your course menu . Enter your personal meeting ID by pasting it into the field under “URL Redirect” . Select the first two options from the list [see image below], and then click the blue “Add App” button . 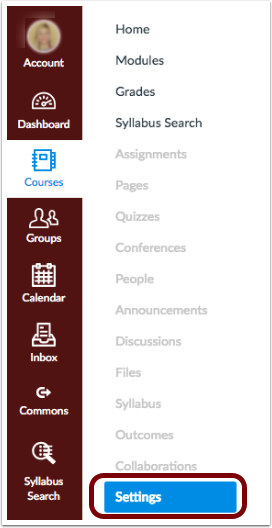 Once the app is added, refresh the page to see the link in the course navigation menu. Then, click on the zoom link from the course menu . On the next page click “open in new tab” to test that Zoom launches in a new tab . You will be prompted to “Join the Audio Conference by Computer or by Phone.” Below this message, click on the link to “Test Computer Audio.” A new dialogue box will appear with directions to “Test Speakers” and “Test Mic.” An additional icon is listed for “Video.” After click on the “video” icon, additional options will appear to test your webcam.